What is open access endoscopy? Moonee Valley Specialist Centre offers an open access endoscopy service for GPs and their patients. 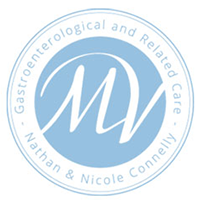 In short, this service provides an efficient way for GPs to schedule an endoscope procedure for their patients with Dr. Nathan Connelly. These include colonoscopy, gastroscopy and capsule endoscopy. In short, by following a strict screening process that ensures safe medical practices are adhered to, the referred patient bypasses the need for an initial consultation with Dr. Connelly and the endoscopy procedure can be done without delay. Why do I need open access endoscopy? Sometimes there are lengthy waiting times for specialist medical consultations and procedures. Having your GP conduct your initial diagnosis and screening for your required endoscopy procedure allows the necessary scope to be performed easily. Dr Connelly can work straight from the comprehensive information your GP provides to conduct your endoscopy procedure in a timely manner. Our open access endoscopy service is not available for all patients or all types of conditions. Please contact us for more information.